The ESCAPE FIRE DVD features the 99-minute film as well as never-before-seen footage, including a "making of" featurette, deleted and extended scenes from the film, updates on some of the main stories, clips from the Sundance World Premiere, and audio commentary with the directors. 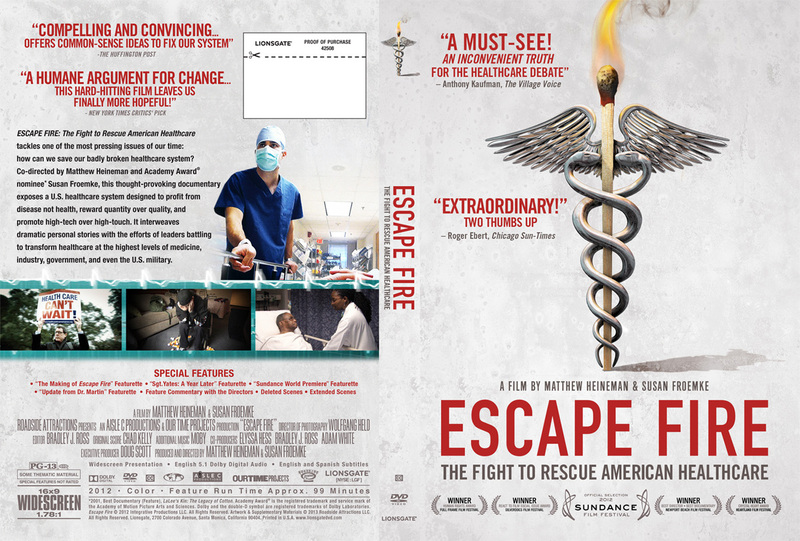 Buy your own ESCAPE FIRE DVD. Perfect to watch with friends and family or to give as a gift. These DVDs are for PERSONAL USE ONLY and are not licensed for public, community or educational screenings. Students, librarians, and educators should visit Roco Films to purchase a DVD for use in educational settings. If you wish to show the film publicly in any other setting, request a screening here.